This past week we took a trip to the Tampa Bay area. 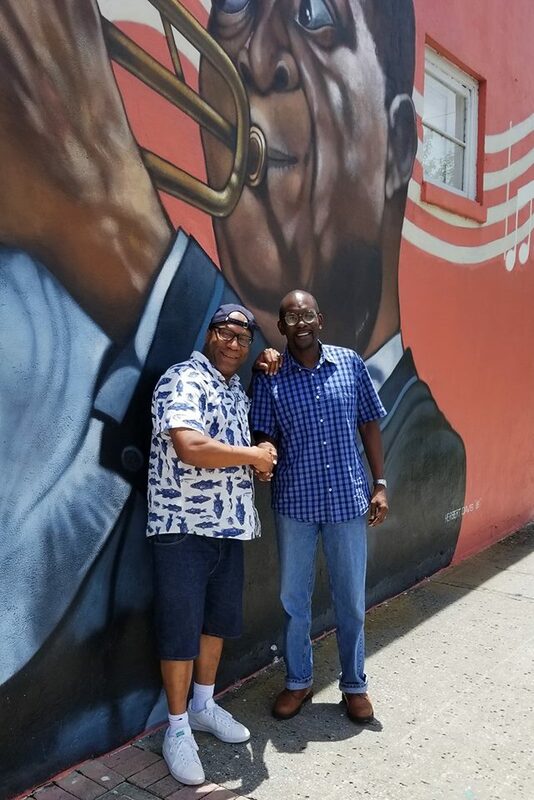 What made this trip to Florida different for us, is we are exploring the possibilities of relocating to the city of St. Petersburg to start our own food business. After living in NYC for over 40 years I have been reluctant to leave because I love this city and our food scene is amazing, but I love the idea of bringing my skills and passion to another area of the country. Besides viewing some real estate we decided that we needed to learn about the people and the food culture there. 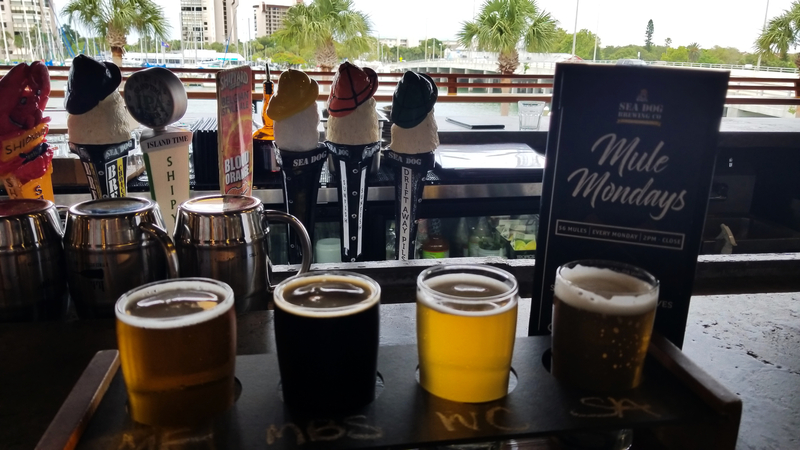 We visited quite a few restaurants and breweries in Tampa, St Pete Beach, Treasure Island, Clearwater and St Petersburg to taste what the area had to offer. The verdict? 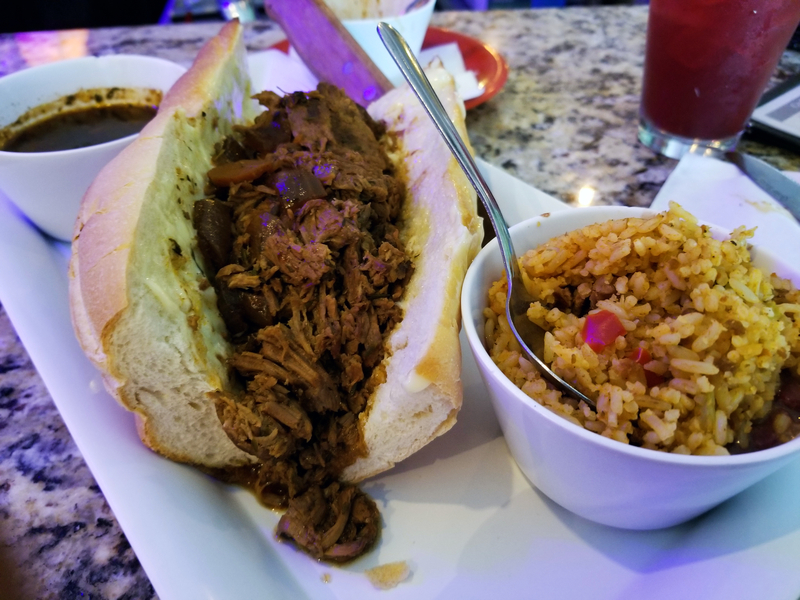 I thought the food was amazing and the restaurant scene is large and growing fast! The residents were also warm and friendly and had no problem speaking with, and telling us what its like living in the bay area. We flew into Tampa and made our way to St. Pete Beach, which is sort of touristy since it has some of the most beautiful beaches in Florida. 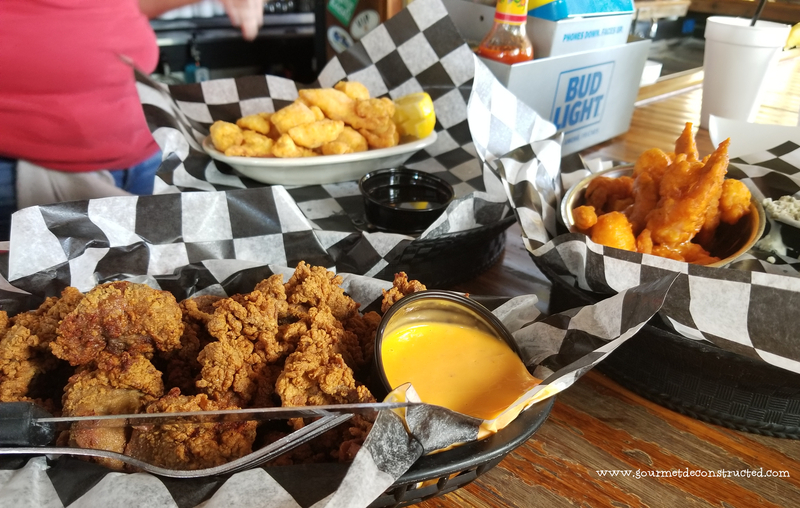 Upon arriving we had a delicious lunch of southern style chicken livers, fried lobster bites and buffalo shrimp at Willy’s Burgers & Booze. 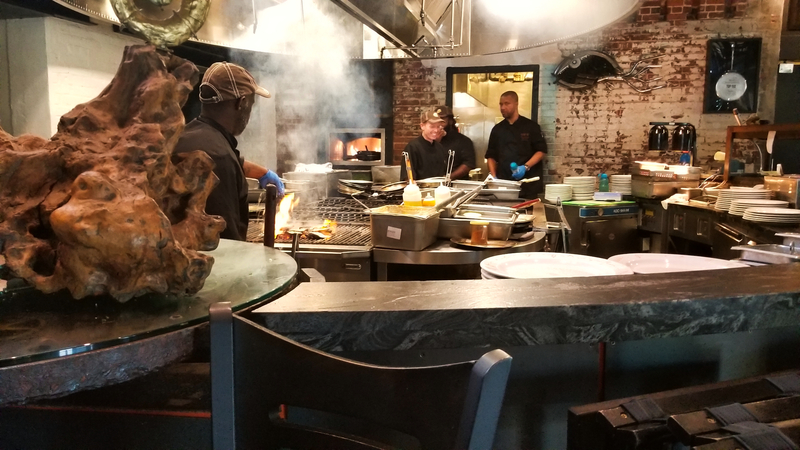 The service, food, and staff were great and made us feel right at home. 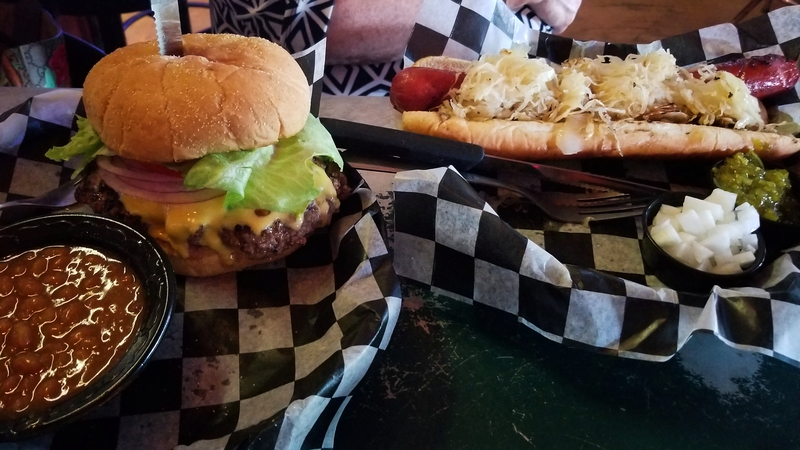 In fact, we thought it was so good we returned the next day and I ordered the “Big Gooey” which was a humongous burger smothered in cheese. 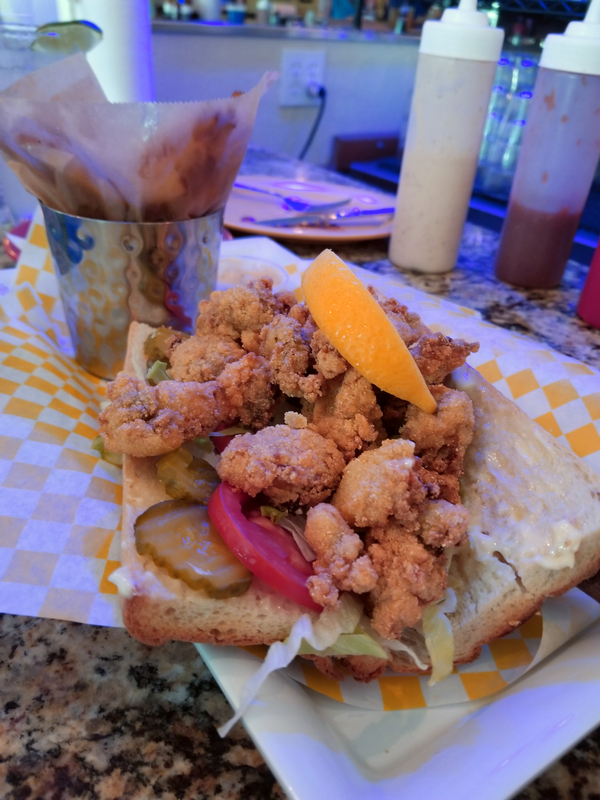 We then traveled a bit north to Treasure Island and visited Shrimpy’s Blues Bistro where the highlights were a delicious oyster Po’boy and beef “debris” Po’boy We then traveled to downtown St. Petersburg to visit the Chamber Of Commerce. Here, we met with Natalie Fisher from the GreenHouse organization and she provided us with valuable information about the ins and outs of starting a small business in the St. Petersburg area. The next morning we had breakfast at a local mainstay on St Pete Beach called Gayle’s Restaurant. 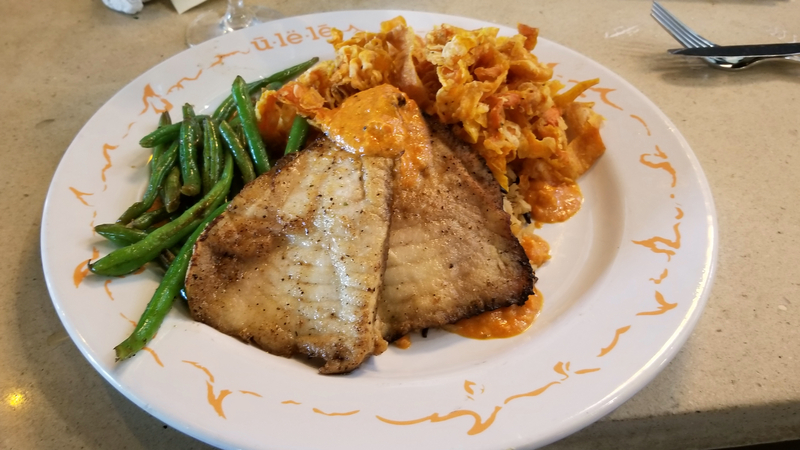 It is a small and cute diner on 75th Ave that serves southern style comfort food. 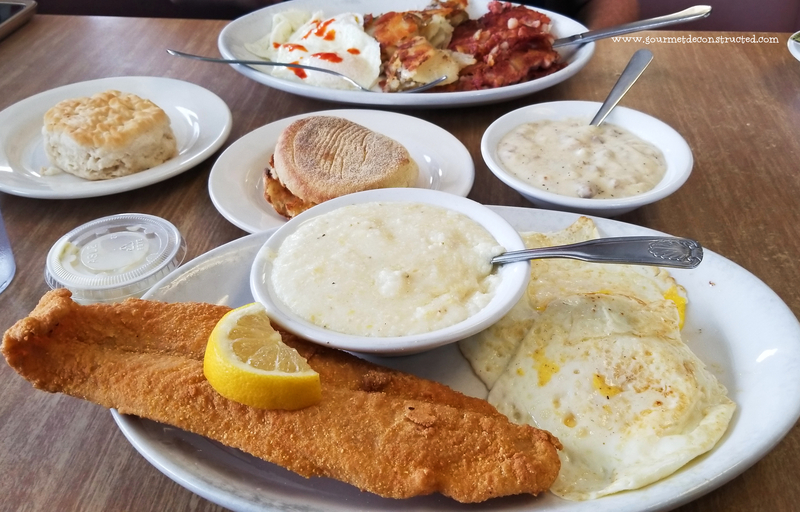 The fried catfish and grits were to die for and Emily loved the homemade breakfast biscuit with white sausage gravy. There was another reason why I love the bay area, the fresh seafood! Almost everywhere we visited great seafood was on deck. We stayed in a rental which had a full kitchen so I prepared a few dishes myself. 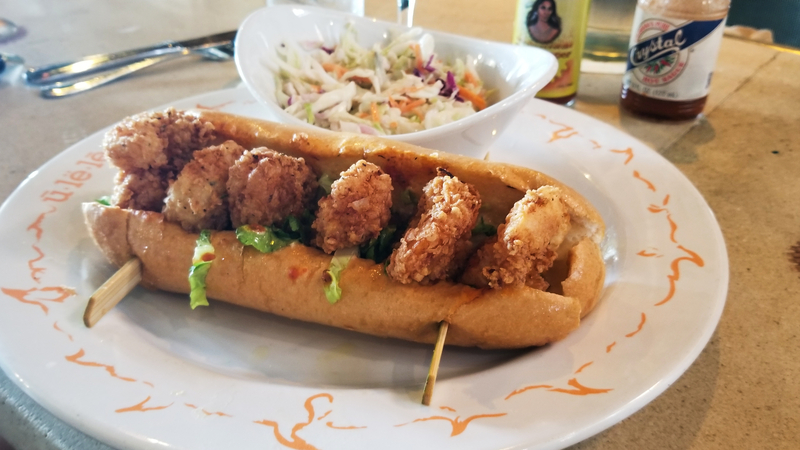 I purchased some fresh caught Mahi Mahi from the “Key West Shrimp Company” and it was some of the freshest I have ever eaten. There was one type of fish I wanted to experience for a long time, lion fish. Whole Foods market in the city of Clearwater carried some amazing local wild caught fish of all types, and I found lion fish at this location. 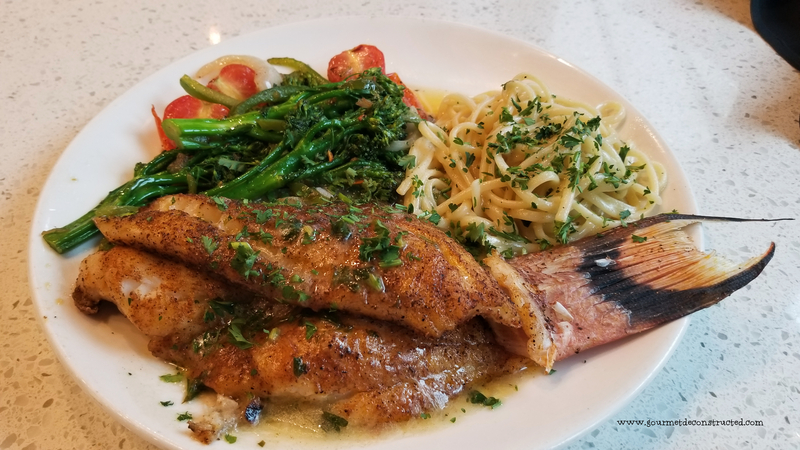 This fish is a very invasive and poisonous species in the Florida and Caribbean waters, so trapping them for food is a great option to help reduce their population in the wild. I prepared a ceviche since the meat of this fish is delicate and mild and the results were absolutely delicious! 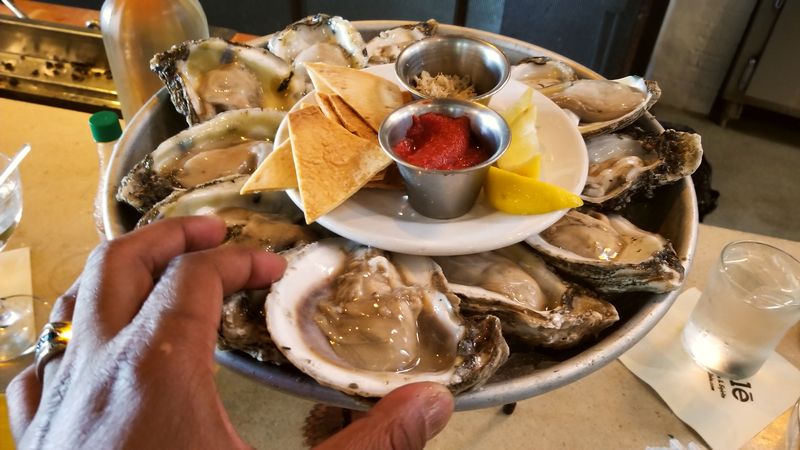 You will not only find great seafood in the markets, the restaurants also feature some amazing locally sourced fish, oysters, and shrimp fresh from the Gulf of Mexico. 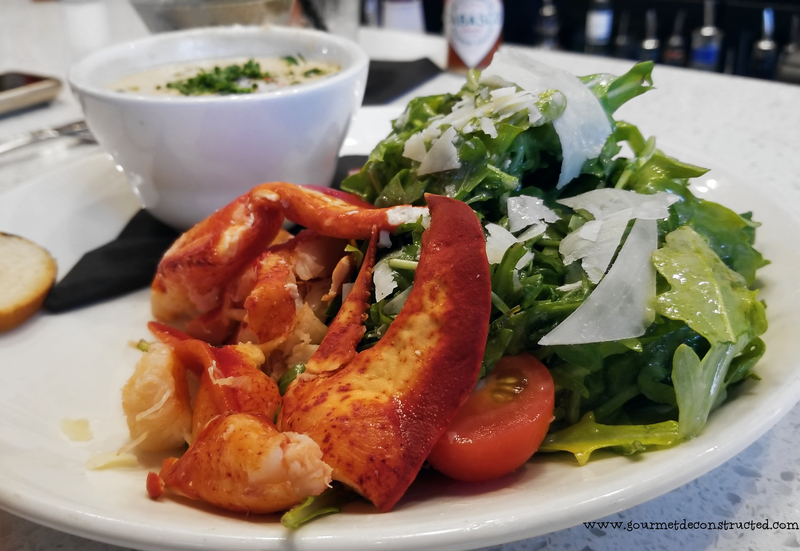 In Tampa at “Frankie’s Lobstah Trap“, I had some tasty hog fish and Emily was big on the lobster salad . We found ourselves eating seafood from St Pete Beach to Ybor City. 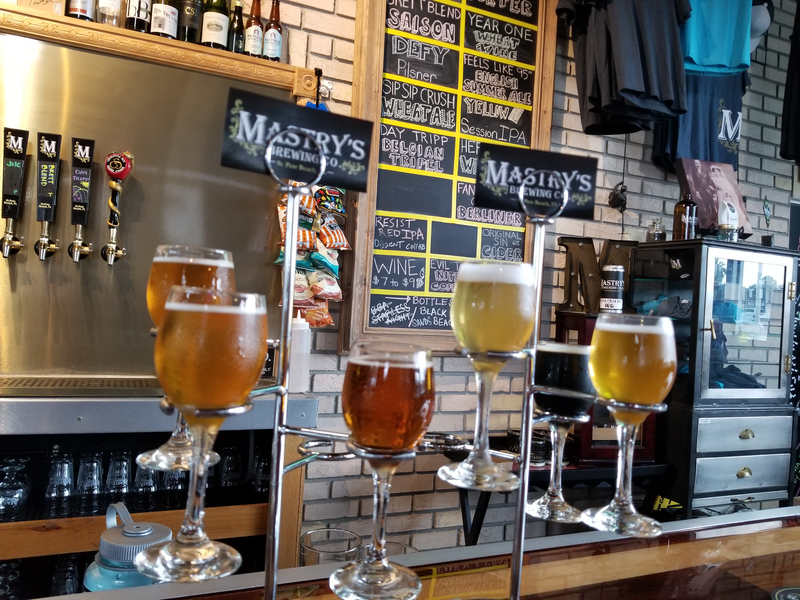 We also visited many of the small craft breweries in the area. 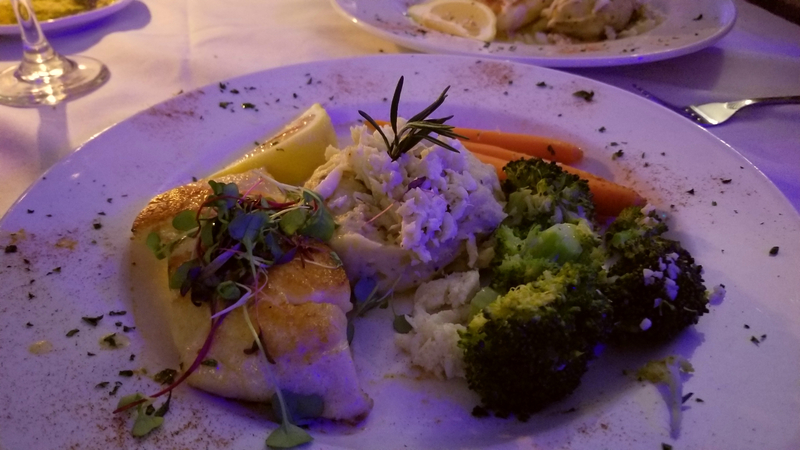 We celebrated our 11th anniversary at Spinners Rooftop Revolving Bistro where I had a killer grouper dish and Emily had some delicious Chilean sea bass. 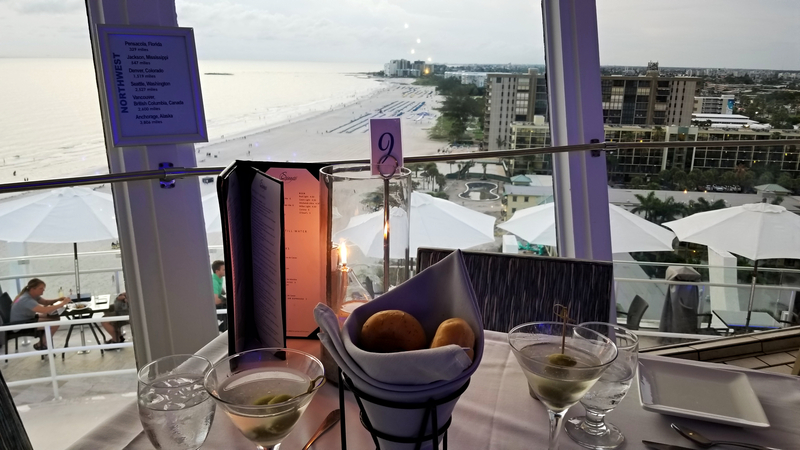 This restaurant gives the diner amazing 360º views overlooking St Pete beach while it slowly spins. 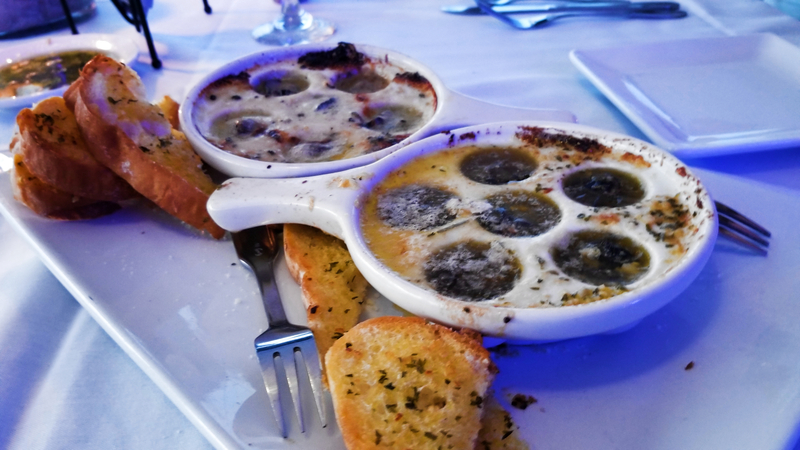 Escargot two ways at Spinners. Overall we had a wonderful trip and learned so much about living in the Tampa Bay area. We visited many residential neighborhoods, local restaurants, and the many small mom & pop shops. St. Petersburg is a beautiful city on the upswing and I think we would be a perfect fit! It has great weather, beautiful beaches, friendly residents, a great sense of community, and an emerging food scene. Let me just say, we are now very interested in moving south to the Sunshine State, I’ll keep you guys posted! 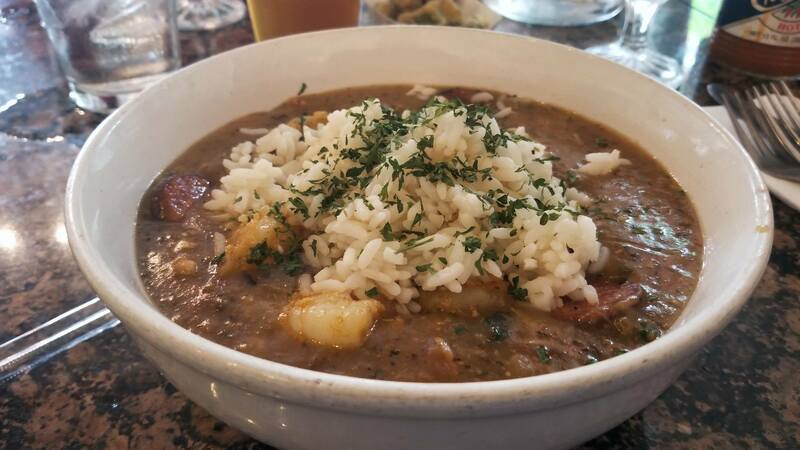 Below are a few other foodie highlights from our trip. 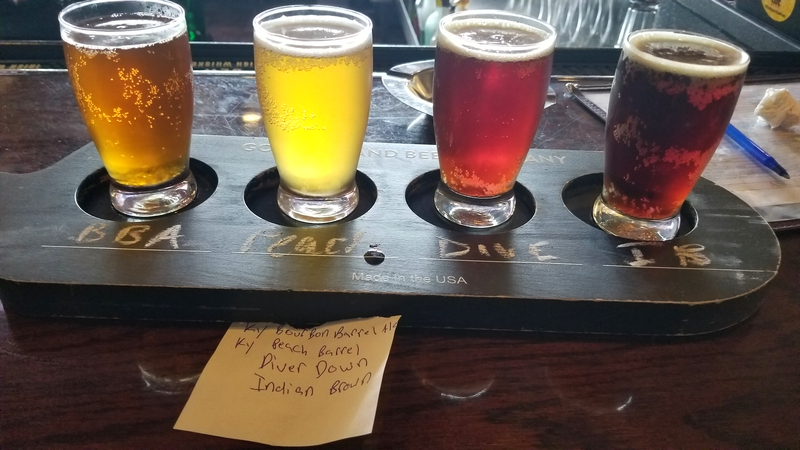 Posted on July 4, 2018, in Foodie Road Trips & Other Fun Things, sous vide and tagged beaches, brewery, cajun, Clearwater Fl, cookbook, creole, escargot, grouper, gumbo, hog fish, Lionfish, Lobster, oysters, po'boy, Pompano, restaurants, sea bass, seafood, shrimp, sous vide, southern food, st. pete beach, St. Petersburg, Tampa, Ulele, Ybor city. Bookmark the permalink. 2 Comments.